Brendan Stone and Stephen Gowans discuss the Cheonan sinking on Unusual Sources. From its founding in 1948 until the mid 1970s, Israel was critical of South Africa’s apartheid, and sought allies among the newly independent black African states. But for many African countries, Israel was the replication in Palestine of the same European colonial settler model they had struggled to break free from. They weren’t going to become allies of a colonial power. Then Israeli defense minister (and now president) Shimon Peres, accompanied South African prime minister John Vorster, a Hitler-admirer who had been jailed during WWII for supporting the Nazis and belonging to the fascist Ossewabrandwag, on a 1975 visit to the Holocaust memorial. Peres signed an agreement with Vorster’s government to establish a secret military alliance, and offered to sell Pretoria nuclear warheads. The cementing of the alliance was helped along by an existing relationship: South Africa was already shipping yellow cake to Israel. Now, safeguards against nuclear proliferation were lifted, allowing the Israelis to divert the yellow cake to their nuclear weapons program. The strength of the new relationship was signalled by the 1976 visit to Jerusalem of South Africa’s prime minister, John Vorster. Accompanied by Yitzhak Rabin and then defense minister (now president) Shimon Peres, Vorster visited the Holocaust memorial, a grotesque spectacle considering the South African prime minister was a Hitler-admirer who had been jailed during the war for supporting the Nazis and belonging to the fascist Ossewabrandwag. In 1975, South Africa’s defense minister, P.W. 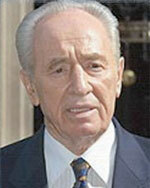 Botha met with Peres to buy Israeli nuclear warheads. While the deal fell through – the South Africans thought the asking price too high – the two men signed an agreement to establish a secret military alliance. Israel also arranged to send Pretoria 30 grams of tritium, which South Africa later used to build a number of atomic bombs. Israel regarded the relationship as based on more than just convenience, but on a common position as colonial oppressor, under pressure from national liberation movements. The two countries shared “unshakeable foundations of…common hatred of injustice and…refusal to submit to it,” wrote Peres to South Africa’s information minister, Eschel Rhoodie. The “injustice” each refused to submit to was ending apartheid (South Africa) and reversing the Nakbah (Israel), in both cases the subordination of indigenous people to the interests of settlers from Europe. Rafael Eitan, Israel’s then military chief of staff and Ariel Sharon, a future prime minister, sympathized with the “plight” of the South Africa’s apartheid regime, presumably seeing in it a reflection of the difficulties faced by Israel in enforcing its own racist regime. But how responsible was France? It probably played a role in Israel’s development of nuclear weapons, transferring technology to Israel in return for its role in the attempted 1956 British-French take-over of Egypt (the Suez Canal crisis.) (2) How responsible, for that matter, is the United States, which dropped atomic bombs on Hiroshima and Nagasaki during WWII, despite the reality that a Japanese surrender was imminent, and, even if it weren’t, could have been obtained easily without the use of atomic bombs? (3) What’s more, the United States continues to threaten to use nuclear weapons against non-nuclear states (4) – hardly the acts of a responsible nuclear power, and nothing less than nuclear terrorism. Polakow-Suransky’s book, and McGreal’s reporting, reveal that Israel entered into a military alliance with an overtly racist regime – and aided South Africa in its attempt to smash Angola’s national liberation movement — the foundations of the alliance all the stronger for being based on shared problems related to the maintenance of oppressive rule over dispossessed indigenous majorities. 1. The bulk of this article is based on Chris McGreal’s articles for The Guardian: “Israel and apartheid: a marriage of convenience and military might” May 23, 2010; “Revealed: how Israel offered to sell South Africa nuclear weapons”, May 24, 2010. 2. See Richard Becker, “A turning point in the Middle East balance of forces”, PSLWeb.org, November 1, 2006. 4. Stephen Gowans, “Nuclear Posture Review 2010“, what’s left, April 10, 2010. 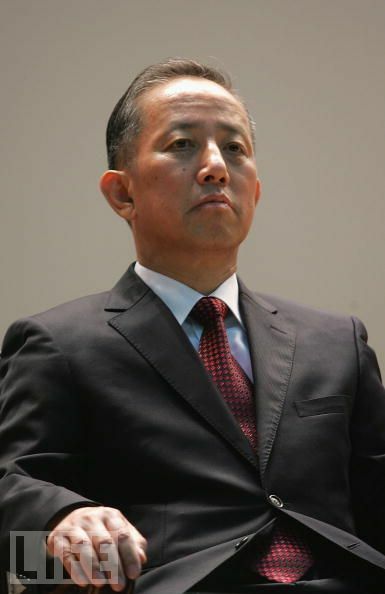 Some members of South Korea’s opposition parties – which have been highly critical of the government for blaming North Korea for the disaster– “contend that the boat was sunk either by a ‘friendly fire’ torpedo during a training exercise or that it broke part while trying to get off a reef.” (13) Whatever the cause, they don’t believe the findings of the official inquiry. What’s more, Lee’s foreign policy rests on the goal of forcing the collapse of North Korea. When he took office in February 2008, he set about reversing a 10-year-old policy of unconditional aid to the North. He has also refused to move ahead on cross-border economic projects. (15) Lee’s goal, as Selig Harrison, the US establishment’s foremost liberal expert on Korea describes it, is to “once again [seek] the collapse of the North and its absorption by the South.” (16) Forcing the collapse of North Korea was the main policy of past right-wing and military governments to which Lee’s government is historically linked. The claim that the sinking of the Cheonan is due to an unprovoked North Korean torpedo attack makes it easier for Lee to drum up support for his confrontational stance. But it does more than that. It also helps Lee move ahead with his goal of re-unifying the Korean peninsula by engineering the collapse of the North. Lee has used the Cheonan incident to: cut off trade with the North; block the North’s use of the South’s shipping lanes; argue for stepped up international sanctions against Pyongyang; call for the beefing up of the South’s military; and issue a virtual declaration of war, branding North Korea the South’s principal foe and announcing that “It is now time for the North Korean regime to change.” (17) Seoul already spends $20 billion per year on its armed forces, almost three times more than the $7 billion Pyongyang allocates to military spending. South Korea has one of the most miserly social welfare systems in the industrialized world, in part because it spends so much on defense. (18) Only 28 percent of the South’s working population is covered by a government pension plan, a state of affairs that has given rise to “’silver’ job fairs, established to find jobs for people aged 60 and over.” (19) Even so, the South’s military spending as a percentage of its GDP is a drop in the bucket compared to the North’s. With a smaller economy, North Korea struggles (and fails) to keep up with its more formidably armed neighbor, channeling a crushingly large percentage of its GDP into defense. It is caught in a difficult bind in which it not only has to defend its borders against South Korea, but against the 30,000 US troops stationed on the Korean peninsula and twice as many more in nearby Japan. By expanding the South’s military budget, and using the Cheonan affair to put the country on a virtual war footing, Lee forces the North to either divert even more of its limited resources to its military – a reaction which will ratchet up the misery factor inside the North as guns take even more of a precedence over butter – or leave itself inadequately equipped to defend itself. This meshes well with calls from the RAND Corporation for South Korea to buy sensors to detect North Korean submarines and more warships to intercept North Korean naval vessels. (20) An unequivocal US-lackey – protesters have called the security perimeter around Lee’s office “the U.S. state of South Korea” (21) – Lee would be pleased to hand US corporations fat contracts to furnish the South Korean military with more hardware. Lee’s right-wing party and US military contractors win, while North Koreans and the bulk of Koreans of the south are sacrificed on the altar of South Korean militarism. 13. Barbara Demick, “In South Korea, competing reactions to sinking of warship”, The Los Angeles Times, May 28, 2010. “Soon after taking office two years ago, Mr. Lee appeared at risk of losing public support, as he faced mass demonstrations on the streets of Seoul against the import of United States beef. Now, political experts are talking about the “Cheonan effect,” as polls show that more than half of expected voters approve of the president and his tougher line toward the North. 15. Blaine Harden, “Brawl Near Koreas’ Border,” The Washington Post, December 3, 2008. 16. Selig S. Harrison, “What Seoul should do despite the Cheonan”, The Hankyoreh, May 14, 2010. 17. “Full text of President’s Lee’s national address”, The Korea Times, May 24, 2010. 18. Selig S. Harrison, “What Seoul should do despite the Cheonan”, The Hankyoreh, May 14, 2010. 19. Su-Hyun Lee, “Aging and seeking work in South Korea,” The New York Times, September 11, 2009. 20. “Kim So-hyun, “A touchstone of Lee’s leadership”, The Korea Herald, May 13, 2010. 21. The New York Times, June 12, 2008. 22. Mark Landler, “Clinton condemns attack on South Korean Ship”, The New York Times, May 21, 2010. 23. 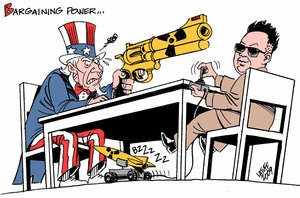 Kang Hyun-kyung, “Ruling camp differs over NK involvement in disaster”, The Korea Times, April 7, 2010. 24. “Kim So-hyun, “A touchstone of Lee’s leadership”, Korea Herald, May 13, 2010. 25. Kang Hyun-kyung, “Ruling camp differs over NK involvement in disaster”, The Korea Times, April 7, 2010; Choe Sang-Hun, “South Korean sailors say blast that sank their ship came from outside vessel”, The New York Times, April 8, 2010. 26. Cho Jae-eun, “Probe satisfies some, others have doubts”, JoongAng Daily, May 21, 2010. 27. “Kim So-hyun, “A touchstone of Lee’s leadership”, The Korea Herald, May 13, 2010. 28. “Seoul prepares sanctions over Cheonan sinking”, The Choson Ilbo, May 13, 2010. 29. Cho Jae-eun, “Probe satisfies some, others have doubts”, JoongAng Daily, May 21, 2010. 30. 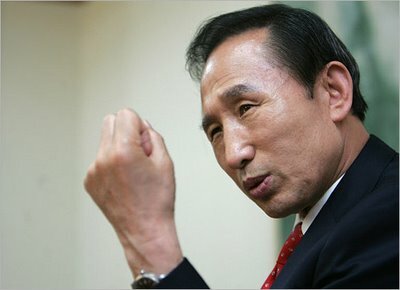 Jung Sung-ki, “Questions raised about ‘smoking gun'”, The Korea Times, May 20, 2010. Most of the articles cited here are posted on Tim Beal’s DPRK- North Korea website, http://www.vuw.ac.nz/~caplabtb/dprk/, an invaluable resource for anyone interested in Korea. With Communism’s demise, and the return of Warsaw Pact countries to the capitalist fold, the world was promised a new age of peace and prosperity. The shadow of war would lift. Military expenditures would be cut back, and troops would be brought home from Cold War postings. There would be more money for new wars — on poverty and homelessness, this time. And capitalism, the single sustainable model of success (it had, after all, emerged triumphant in a decades-long battle with Communism) would deliver the poor from poverty, and bless the world with a bonanza of consumer goods. In place of peace, we got the lone remaining superpower waging war to sweep up the few remaining stragglers that continued to resist integration into the US dominated global economy. Iraq was conquered, at the expense of countless dead, homeless, mangled and ruined; campaigns of intrigue and bombing in the former Yugoslavia pushed the region into the US orbit; and a war on Afghanistan continues to blast away thousands of peasants but cements a US military presence in a Central Asia pregnant with the promise of oil and gas wealth. Wars on Iran and north Korea are real possibilities. Today, the United States is asserting its military might over the face of the globe more audaciously than ever. There are 368,000 US troops deployed in nearly 130 countries around the world. (1) US citizens think their military protects their interests abroad and defends host countries from threats. They rarely pause to wonder whether what’s called “their” interests are really their own personal interests or those of people who live in bigger houses and get bigger tax breaks and have sizeable investment portfolios. Nor do they make a habit of wondering how it is that with the US exercising a virtual military monopoly over the world, host countries could be under a threat so imminent they would require a US force presence. Exactly which of the tiny collection of countries not hosting US troops are threatening the remaining 130? Could it be that US troops gird the globe to enforce the access of US firms and investors to the land, labor, markets and resources of others? Do “our” interests equate to Iraq’s oil, Indochina’s tin, Central Asia’s natural gas, Kosovo’s mines, the Balkan’s pipeline routes, Africa’s treasure trove of minerals and oil, and Indonesia’s sweatshops? “A lot of people forget,” remarked Alexander Haig, former Supreme Commander of NATO and Secretary of State in the Reagan administration, that the presence of US troops in Europe is “the bona fide of our economic success…it keeps European markets open to us. If those troops weren’t there, those markets would probably be more difficult to access.” (2) A lot of people forget, because they were told something quite different: That US troops were stationed in Europe to deter a Soviet invasion, not to put a gun to the head of Europeans to keep their markets invitingly open to US firms and investors. The obvious question, With the threat of a Soviet invasion long passed, why are US troops still there?, is rarely asked. So it doesn’t really matter that we’ve forgotten. The most blatant of Washington’s latest exercises in imperialism run amok has a similar character. It was said that the Iraqi government of Saddam Hussein was hiding banned weapons. None were found. But US forces stay in Iraq anyway, to ensure the conquered country remains the refashioned paragon of free markets and free trade Washington’s policy makers have turned it into. Which is to say, the emergence of US capitalism triumphant hasn’t given us peace, as promised; it has given us a bold US military prepared to wage war. And it seems to be waging war to facilitate US capital settling everywhere, nestling everywhere and establishing connections everywhere, to paraphrase a shockingly topical passage from the Communist Manifesto of Karl Marx and Friedrich Engels, a document whose irrelevance was said to have been established beyond a shadow of a doubt when the Berlin Wall was razed to the ground. Yet, today, it seems to be more relevant than ever; certainly more relevant than when a competing ideology forced the stewards of capitalism to tidy up the image of their vaunted system lest the rabble get it into their heads that they could do better. It’s said in newspapers and on TV that Washington’s wars have to do with fighting terrorism, but the documents which define the US national security strategy are long on paeans to free markets and free trade and capitalism and short on concrete measures to protect the lives of US citizens from attacks by radicalized West Asians bearing legitimate grievances against the United states. On the contrary, the strategy is a recipe for provoking terrorist attacks. Bourgeois society,” to use Marx’s and Engels’ phrase, hasn’t given us prosperity either, unless by “us,” you mean the people who own and control the economy. For the bulk of humanity things are a lot worst materially than they were when communists, socialists, and nationalists kept upsetting the capitalist apple cart by bringing vast tracks of national economies under public control, and putting the public welfare ahead of the profit interests of bondholders and investors. After having been demonized for decades by a capitalist establishment bent on making Communism radioactive (along with anyone so cavalier about their standing in polite society to utter a kind word about it) it’s sometimes forgotten, if ever apprehended in the first place, how impressive Communism’s economic achievements were…and still are, considering the barren and poisoned ground in which the lone holdouts have been forced to eke out precarious existences. Could a north Korea with one or two crude nuclear bombs pose much of a threat to the United States poised to strike with overwhelming force? Quite the other way around. Indeed, north Korea’s pursuit of nuclear weapons can be said to be a rational response to an overwhelming US threat. And there have been plenty of signs the threat is real. Washington ultra-hawk, Paul Wolfowitz, anticipating similar words US Secretary of state Hilary Clinton would utter seven years later, warned, “north Korea is headed down a blind alley. Its pursuit of nuclear weapons will not protect it from the real threat to its security, which is the (internal) implosion brought about by the total failure of its system. Indeed the diversion of scarce resources to nuclear weapons and other military programs can only exacerbate the weakness of the (government).” (9) So what’s the choice? Head down a blind alley, or turn over the country to Washington, and the multinational corporations it represents? Who’s the blackmailer? Then disaster struck. The socialist trading bloc collapsed, depriving Pyongyang of its major trading partners. Oil subsidies from Russia ended. And if that weren’t enough, floods and droughts ravaged crops. Famine followed. But, for a time, the country had enjoyed impressive material gains, an affirmation of what can be achieved outside the capitalist system, even where resources are diverted to defense against an unrelenting foe than remains poised on your borders to strike. Imagine what the country could have achieved without the United States breathing fire down its neck. In 1953, the illiteracy rate in Cuba exceeded 22 percent. Today it is under one percent. Three percent of those over the age of 10 had a secondary school education. Today, almost 60 percent do. Back then, at the height of the sugar harvest, when unemployment was lowest, eight percent were jobless. Today, the unemployment rate is three percent, making Cuba one of the few countries in the world to boast full employment. Well over 80 percent own their own homes, and pay no taxes. The remainder pays a nominal rent. No other country has as many teachers per capita. Education is free through university. The country also provides free university educations to 1,000 Third World students every year. And classroom sizes put those of Western industrialized countries to shame. Infant mortality is lower than in any other Third World country and even some Western capitalist countries (it’s higher in Washington, DC.) Life expectancy is 76 years, and is expected to rise. (13) By comparison, the return of capitalism has pushed life expectancy down in former communist countries. These gains, seldom mentioned in the United States, place the country head and shoulders above other Latin American countries firmly ensconced in the US orbit, for which Washington’s single sustainable model of success continues to deliver grinding poverty, misery, and gross inequality, but the profits necessary to keep the capitalist system afloat and the capitalist class awash in mansions, retinues of servants, stables of luxury cars, exclusive schools and private clubs. There are elections, and, contrary to Washington’s anti-Cuba propaganda, Cubans do vote. But they don’t choose among two largely identical parties, as in the United States, where the parties, and their candidates, are almost invariably in thrall to, or are representatives of, the capitalist class. 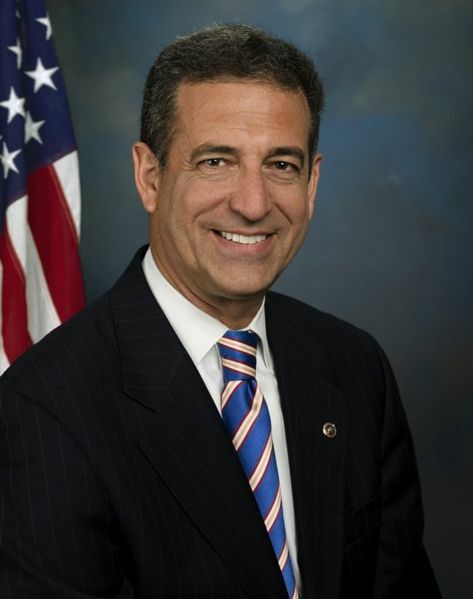 As for human rights, Cuba stands as a model of what can be achieved by way of economic and social rights, the basic rights to food, housing, clothing, health care, education and jobs, enshrined in the Universal Declaration of Human Rights, but not recognized as human rights in the United States. (14) Washington, on the other hand, has made a fetish of civil and political liberties, which, in the case of its relations with Cuba, has everything to do with giving its agents in the country, mistakenly called “independent” journalists and “independent” librarians (they’re not independent of Washington, which bankrolls their activities), room to maneuver to organize destabilization, with the object of overthrowing the revolution and banishing economic and social rights in favor of investors’ rights. That Cuba, a poor country, has been able to guarantee the right to food, clothing, shelter, health care, education and jobs, despite trying economic circumstances and US hostility, can be seen as extraordinary, or simply what can be readily accomplished outside the strictures of capitalism. If a poor Third World country, harassed by a powerful neighbor, can deliver high quality health care and education for free, why can’t the world’s richest country do the same? The answer: Capitalism drives towards better profits, not better lives. 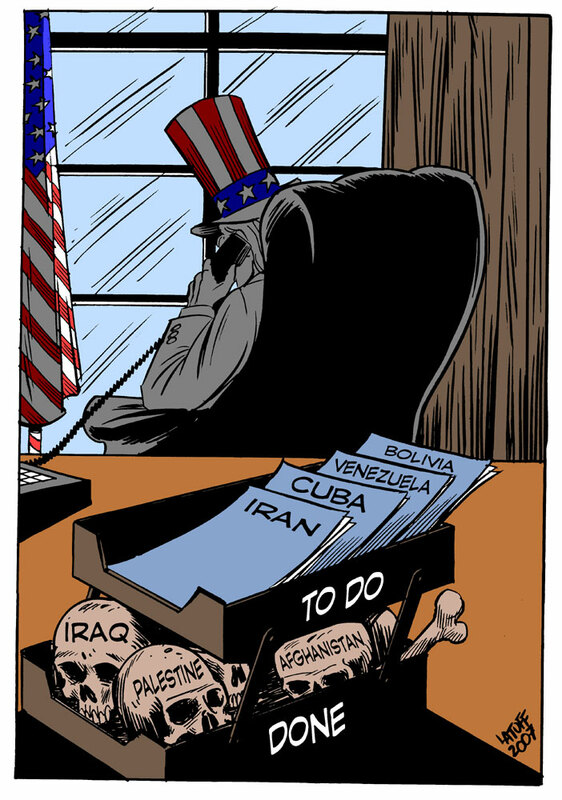 Ever since the US-dominated global economy has, with the collapse of Eastern Bloc Communism over 10 years ago, more boldly sought purchase everywhere, US military imperialism has run amok, wars of aggression have been started, and poor, and formerly communist, countries have become poorer. The leaders of the Western world declare capitalism to be the single sustainable model of success, but countries that rejected capitalism, and committed to egalitarianism, have done better in terms of guaranteeing economic and social rights than comparison countries, despite difficult circumstances. Meanwhile, those that have rejected egalitarianism in favor of a return to capitalism have regressed. The promises of peace and prosperity that attended Communism’s collapse were a fraud based in the self-interest of a narrow band of wealthy people in the world’s richest countries. That it is a fraud is richly evident in the failed promises and dismal record of the post-communist era. 2. UPI, January 7, 2002. 3. “UN report says one billion suffer extreme poverty,” World Socialist Web Site, July 28, 2003. 4. “Pre-emption: Idea With a Lineage Whose Time Has Come,” The New York Times, March 23, 2003. 5. “Iran to be US next target: CIA report,” Pak Tribune (Online) March 24, 2003. 6. “U.S. Tells Iran, Syria, N. Korea ‘Learn from Iraq,” Reuters, April 9, 2003. 7. “North Korea vows to make no concessions,” Agence France-Presse, March 29, 2003. 8. “Administration Divided Over North Korea,” The New York Times, April 21, 2003. 9. “Wolfowitz Visits US Military Base In Korean Buffer Zone,” AFP, June 1, 2003. 10. “Peace, the real resolution to famine in North Korea, ZNet, July 23, 2003. 11. 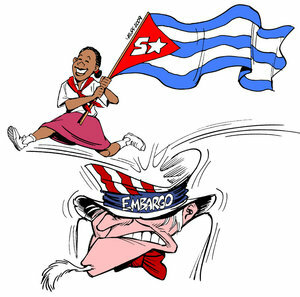 “Why the US fears Cuba,” The Guardian, July 31, 2003. 13. Speech by Fidel Castro on the 50th anniversary of the attack on the Moncada barracks, July 26, 2003. 14. Karen Lee Wald, “Democracy, Cuba-Style,” Canadian Dimension, July/August, 2003. Originally written in August 2003, revised and updated May 2010.